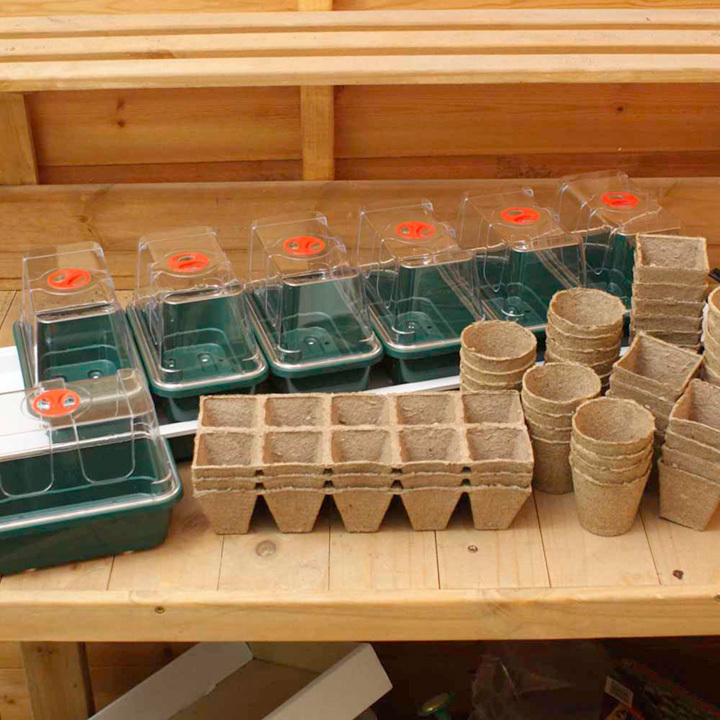 Ideal for the amateur gardener to provide the constant gentle heat required to successfully rear seedlings on a windowsill indoors, the Garland Super 7 comes with seven mini propagating trays and vented lids to allow great flexibility in both variety and number of individual seedlings grown. The bases are tough and durable, each propogator providing an isolated unit, reducing the risk of airbourne disease cross-contamination. Measures 76cm (30") x 18.5cm (7") x 14cm (5½") high. 13 watts. 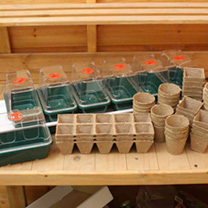 Comes with 106 growing on pots in a variety of sizes FREE - worth over £10.